Ever been stuck in a hotel room on the other side of the world and longed to catch up on the soaps? 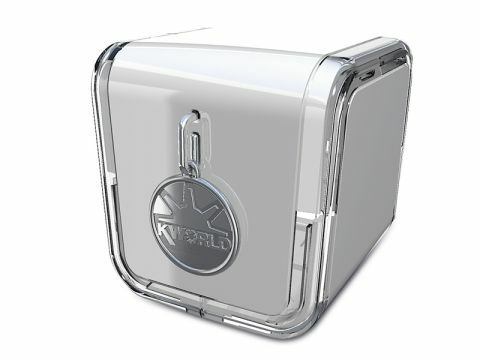 The Kworld LiveQ IPTVBox is a small and compact standard TV tuner in the shape of a cube that allows you to view television programmes on your laptop. As with all such devices, you get better results with a roof aerial than the mini-antenna supplied. Kworld supplies the hardware, but CyberLink provides the software that allows access from an external connection using PowerDirector and CyberLink Live. Your home machine will need to be switched on, as LiveQ lacks wake-upon-demand tools, so it's not as ﬂexible as we would have liked. Setup can be tricky, largely due to it not being bespoke software, but once running we found it a satisfactory product.